Top 5 Biotech Companies to Look out for Adrenoleukodystrophy (ALD) | Market Research Reports® Inc. The disease is characterized by loss of myelin surrounding nerve cells in the brain and progressive adrenal gland dysfunction. The disease affects mainly males (hemizygotes), but similar to other X-linked disorders, it is increasingly recognized that females (heterozygotes) may be clinically affected as well. The main neurological manifestations include a progressive, fatal, inflammatory cerebral adrenoleukodystrophy (CALD) most frequently appearing in young boys, and a slowly progressive, non-inflammatory axonal myelopathy and peripheral neuropathy (adrenomyeloneuropathy, AMN), that occurs in most adult males. Many females develop myeloneuropathy as well, but usually at a later stage and with milder symptoms than seen in males. According to DelveInsight, the total prevalent population of Adrenoleukodystrophy [ALD] in 7 major markets was found to be 26,866 in 2016. The epidemiology can also be segmented based on the clinical manifestations of ALD with males suffering from cerebral adrenoleukodystrophy (CALD), adrenomyelodystrophy (AMN) and Addison’s disease (AI). DelveInsight’s analysis suggests that cerebral adrenoleukodystrophy is the most prevalent clinical aspect of ALD, which contributes a major patient share as compared to other manifestations. With no approved therapy in the market, the 2016 market share of ALD in the 7 MM was estimated to be very low. However, with the approval of upcoming therapies during the forecast period [2018-2027], it is expected that the United States shall account for the highest market size of Adrenoleukodystrophy (ALD) as compared to the EU5 countries (the United Kingdom, France, Germany, Spain and Italy) and Japan, owing to the highest number of prevalent population along with highest annual cost of therapy (ACOT) expected for the forthcoming products. The current therapeutic market is being ruled solely by transplantation [for severe cases of cerebral Adrenoleukodystrophy (CALD)] and steroids [in case of Adrenal insufficiency] in absence of any approved pharmacological therapy for the treatment of ALD in 7MM. 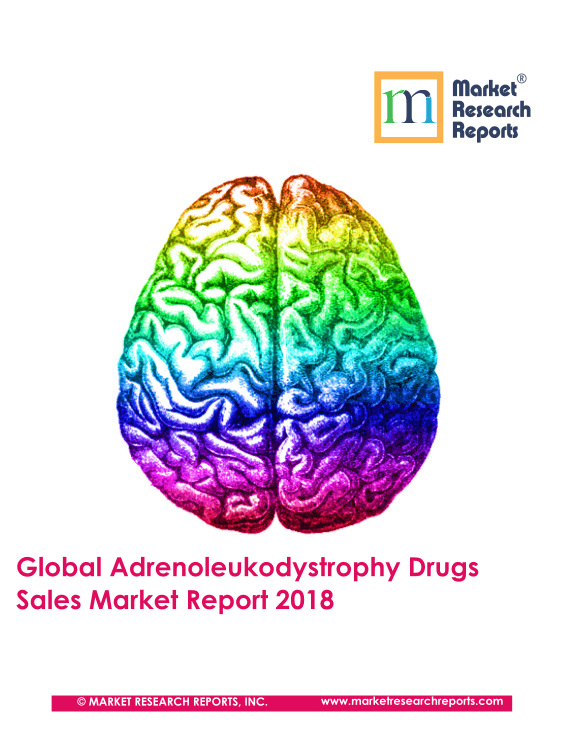 The therapeutic market of Adrenoleukodystrophy (ALD) in seven major markets is expected to reach USD 342.43 million by 2027. With the launch of potential therapies during the forecast period [MD1003 (expected to be launched in 2019), Lenti-D (expected to be launched in 2021), OP101 (expected to be launched in 2022), MIN102 (expected to be launched in 2022), and NV1205 (expected to be launched in 2025)], it is estimated that the market size of ALD shall experience a significant growth in the coming years. Analysts estimate that the market is expected to show a significant rise, mainly attributed to the launch of emerging therapies in coming years. NeuroVia, Inc.: NeuroVia’s lead drug candidate, NV1205, is being developed for the treatment of X-linked Adrenoleukodystrophy (X-ALD). NV1205 is an orally administered clinical-stage drug candidate that was shown to be safe and well-tolerated in Phase 1 clinical studies. Orpheris Inc.: OP-101, specifically targets activated microglia and reactive astrocytes in the CNS, delivering a potent anti-inflammatory and anti-oxidant payload to the activated cells. MedDay Pharmaceuticals: MedDay’s lead product candidate, MD1003 halts axonal degeneration and locomotor disability in a model of X-linked adrenoleukodystrophy. Minoryx Therapeutics, S.L. : In X-ALD, mutations on ABCD1 trigger a cascade of events leading to mitochondrial dysfunction, oxidative stress, neuroinflammation, demyelination and axonal degeneration. MIN-102, through its PPAR gamma activity, prevents such dysfunctions, thus it has the potential to treat both adrenomyeloneuropathy (AMN) and cerebral ALD (cALD). Bluebird Bio: With its lentiviral-based gene therapies, T cell immunotherapy expertise and gene editing capabilities, bluebird bio has built an integrated product platform with broad potential application to severe genetic diseases and cancer. bluebird bio’s gene therapy clinical programs include its Lenti-D™ product candidate, currently in a Phase 2/3 study, called the Starbeam Study, for the treatment of cerebral adrenoleukodystrophy, and its LentiGlobin® BB305 product candidate, currently in three clinical studies for the treatment of transfusion-dependent β-thalassemia, also known as β-thalassemia major, and severe sickle cell disease.